The magnificent pile in the above photo, taken in 1919, is the Illinois National Guard First Calvary armory that once stood at Lake Shore Drive and Chicago. 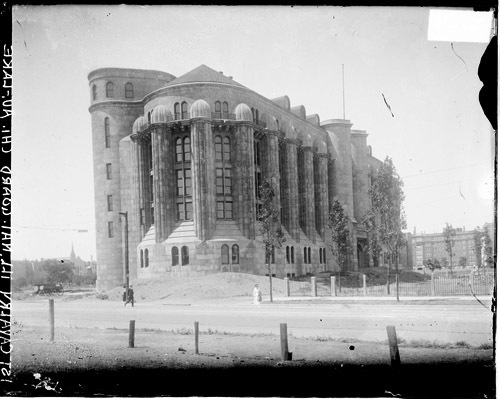 Until now, I&apos;d never seen images of this building. I remember its sturdy, less-embellished successor, which was demolished in the 1990s to build the Museum of Contemporary Art. But this building–a vertical and heroic structure built when the now-packed Streeterville area still had room to grow–was a revelation to me. And there is more where that came from, courtesy of Calumet 412, a Tumblr that allows folks to post all sorts of Chicago images and ephemera. Users have shared images from the posthumously-celebrated amateur photographers Vivian Maier and Charles Cushman, as well as Library of Congress files such as the one above. There are video clips, ads, political cartoons and more–all telling a bit of the Chicago story. And since its a story that can&apos;t be told without architecture, buildings are a huge part of Calumet 412. Like this honey below–care to guess what it was? The above photo almost could be an image of the Lyric Opera&apos;s lobby or something. 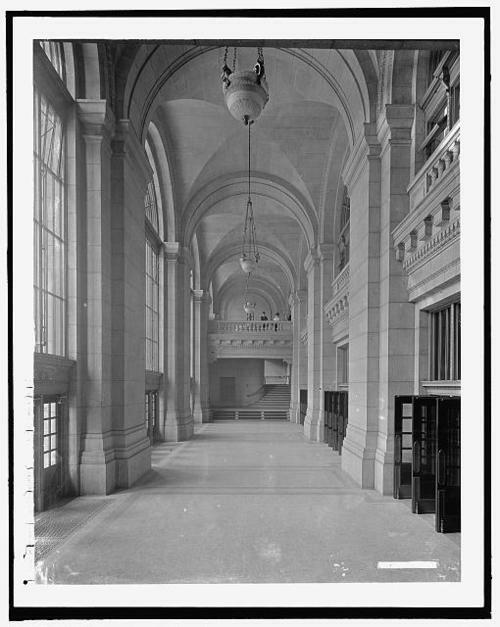 Actually, it&apos;s a 1911 photo of the Madison Street vestibule of the old Chicago & Northwestern train station. 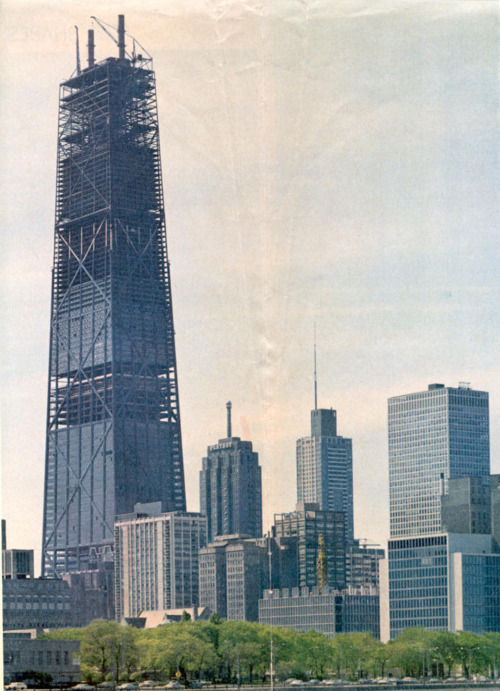 The building was wrecked in 1984 to build the Ogilvie Transportation Center. Be prepared to spend some time at Calumet 412. The six-month-old site is constantly updated with all kinds of coolness such as wanted posters, a cop posing with an anarchist&apos;s dead body in a chair and this one of Mies van der Rohe and his iconic 860-880 Lake Shore Drive buildings.